Or, another title could be, my quest for my perfect backpack. For quite a few years I’ve tried backpacks of all types. 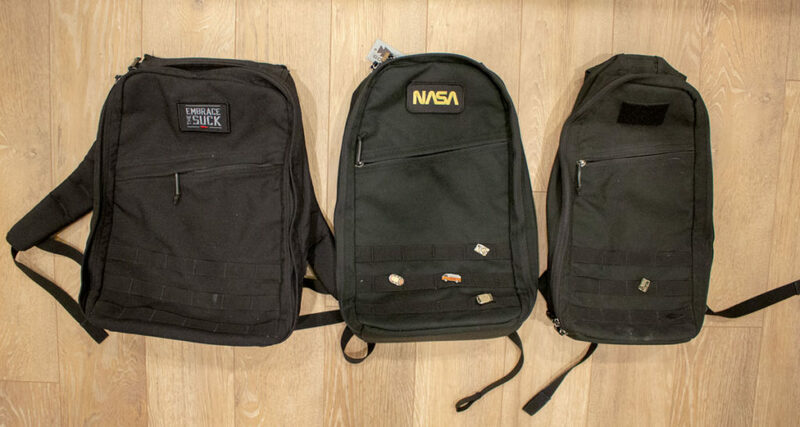 It’s a funny hobby for me to research different backpacks and see what makes the most sense for me. I wrote previously about a trip I took with the Bullet 10L (shown at top right), and how well that worked. The downside of that, is on that trip (and several others) I often ended up with the backpack and a tote bag to carry the extra stuff I needed. When I’ve taken the GR1 (shown at top left), it fits more stuff, but generally just feels more hefty and oversized for day trips and such. When GORUCK announced a 15L last Fall, I was quite excited! It wasn’t till March that they finally came out in the black color, and that’s when I knew I’d need to give it a shot. I recently upgraded to a 15″ MacBook Pro, and it doesn’t fit in the 10L anymore. I was quite pleased to find that it DOES fit in the 15L, and even slides into the inner pouch. That’s a big win. So, where do I fall now on backpack choices? Well, the 10L technically does fit what I need for short trips, but it’s a tight squeeze. I recently read that having an extra 20-25% spare space in your bag at the start of a trip is a safe bet. You’ll probably pick something up on your way, and you don’t want things to be too cramped. So, if you want to be a one bag person, and you find something like the 21L GR1 too big (or heavy), then I’d recommend giving the 15L a try. It’s the same height as the 10L bullet, and the GR1, but its width is right in the middle. In addition, it has a better handle on top than the older 10L (I think they’ve now fixed that in new versions). I still love the 10L, but will be excited to see how the slightly bigger version does on my next trip.